We’re joined this week by prolific musician, humanitarian, filmmaker, and activist Michael Franti. 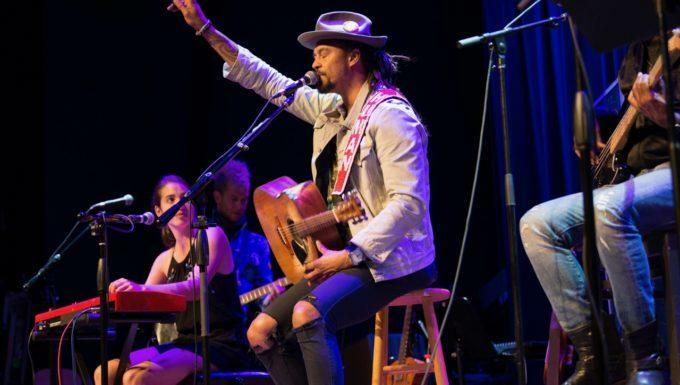 Franti believes in using music as a vehicle for positive change and is revered for his energetic live shows, inspiring music, worldwide philanthropy efforts and connection to his global fanbase. Also with us is up-and-coming singer/songwriter Victoria Canal. Victoria has one arm yet plays piano & guitar alongside having an incredible voice. We are very excited to have her on the show for the first time! Rounding things out, Nick sits down with Dr. William Brown of One World Medical Relief who is using cosmetic surgery to give children with birth defects in 3rd world countries a chance at a normal life. Tune-in!